I went to a whiskey tasting! I went to a whisky tasting! With and e and without! Actually they called it a whisk(e)y tasting. Just to cover all bases. 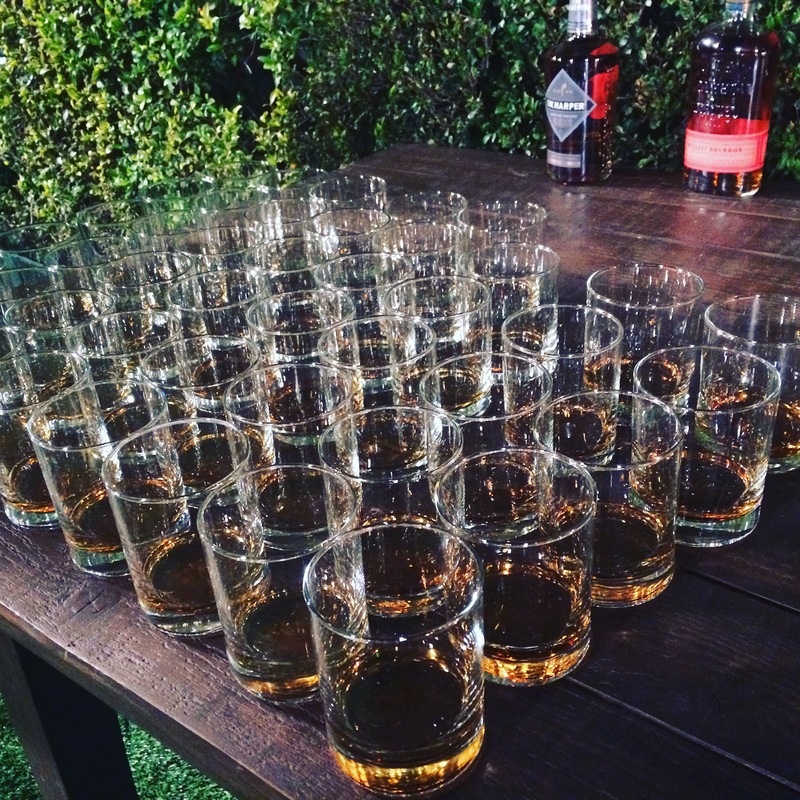 Diageo hosted a lil’ shindig on the Jimmy Kimmel backlot with Adam Perry Lang tending to food, and quite a few brands of whiskey tending to the alcohol: Bulleit, Blade and Bow, George Dickel, Crown Royal, and I.W. Harper.I got to taste a pretty marvelous blade and Bow 22-year-old bourbon. Master of Whisk(e)y Ed Adams was there to guide my tasting. He had me swish it about in my mouth around 10-15 seconds then swallow and immediately exhale. The exhaling really keeps you from getting the burning sensation. And brings a lot of flavors to the forefront. The surprise of the night was the Crown Royal Hand-Selected. It is a coffey rye, and if I am recalling correctly the “coffey” has to do with the type of still they use. It was one of my favorite things I tasted all night. They sent us home with a bottle of George Dickel Rye which was super since I was about to run out of rye. I thanked my lucky stars. I tested it against my most recent rye of choice that I can get at the supermarket: Templeton. My most-favoritest rye of choice in my limited rye tasting was Woodinville Whiskey’s rye that was 100 percent rye. Then Templeton. 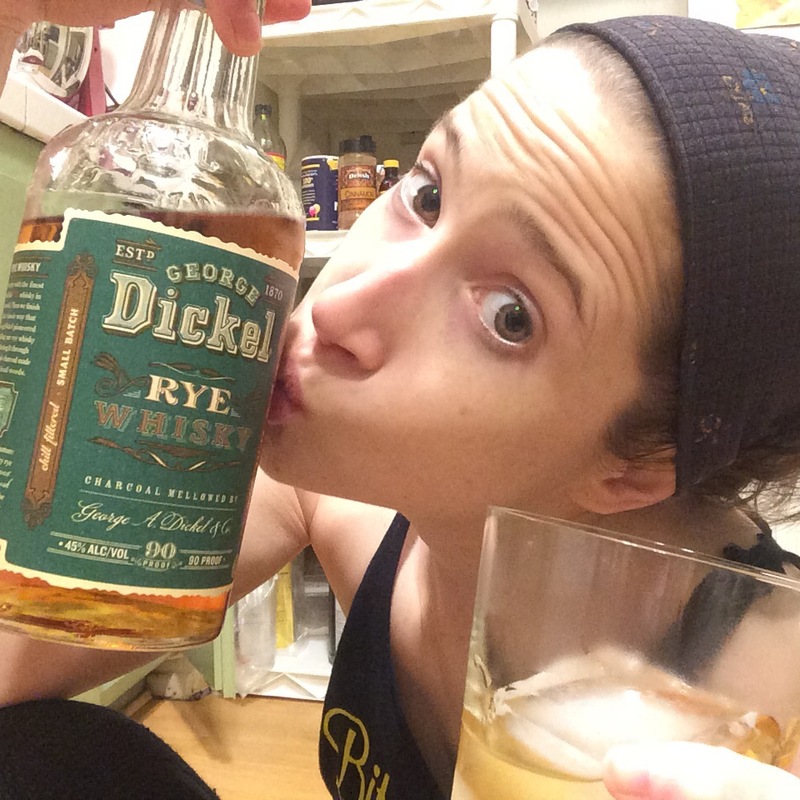 And….I think Dickel may be my fave more than Templeton. It is thicker than Templeton and rougher, but in a good way. There is a wee bit of honey upfront and then some spices on the finish. I really wish I had better notes to give you. Lemme just tell you I’m down with the Dickel.